“Mineral water is any natural water that contains at least 250 parts per million of total dissolved solids (TDS). It must be verified through a lab test whereby a litre of water, evaporated at 180 degrees C, should leave a residue of minerals and salts. Up to 249 mg/liter it is classified as ‘Spring Water’. Above 500 mg/liter, normal or High Mineral Content. Over the years, drinking mineral water has become a part of our daily routine. But did you know that the water we are drinking may be more than just a thirst quencher? 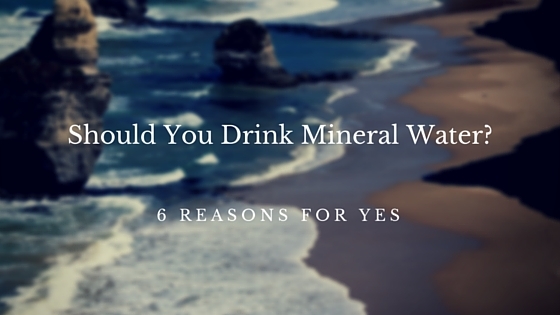 Yes, you heard it right; mineral water might be one of the best and safest beverages around. Despite the debates and claims that mineral water is not that beneficial to our body and can actually cause harm, a lot of the evidence states otherwise. I personally believe that there are many advantages of drinking mineral water. The name itself indicates that mineral water contains minerals, and these minerals are vital for the proper functioning of our bodies. So, What do we get from drinking Mineral water? So, is mineral water bad for you? Drinking mineral water actually does give you a lot of health benefits, as discussed above. However, we should stay sceptical and read the mineral content of each brand since some brands may contain higher Sodium content, and that may not be of great use to us. We recommend giving Fiji Water a try.